A conspicuous hill with steep sides and a flat top. The top is usually a cap-rock of resistant material. 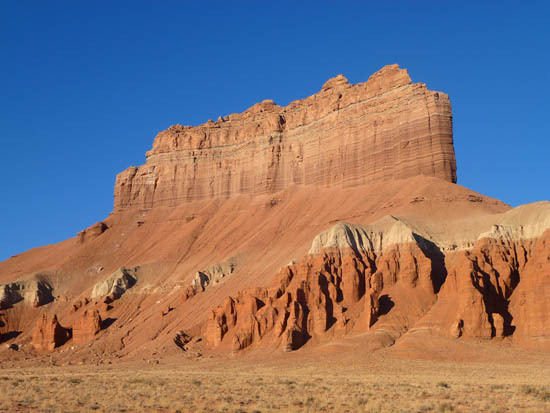 This structure is frequently an erosional remnant in an area of flat-lying sedimentary rocks.